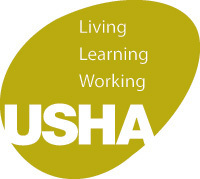 The Universities Safety and Health Association (USHA) is an organisation for the promotion of safety and health in higher education. Membership is primarily open to higher education institutions both in the UK and overseas. Membership is also available to research institutions, further education colleges and related organisations upon request. The association was formed in 1973 and has grown over the years to its current cohort of approximately 150 members.